The NLD said the new election laws were "unjust"
Burma's main opposition party, the National League for Democracy (NLD), says it will not take part in the country's first polls in two decades. An NLD spokesman said the party had decided not to register because of "unjust" electoral laws. The laws recently announced by the junta required the NLD to expel its detained leader, Aung San Suu Kyi, because she has a criminal record. Its refusal to register means the NLD will no longer be legally recognised. No date has been set for the elections, but the military has pledged to hold them this year. 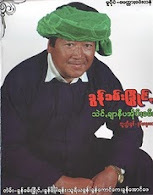 The NLD won the last elections in 1990 but was never allowed to take power. The BBC's South East Asia correspondent, Rachel Harvey, says the party's decision to boycott the coming election, rather than ousting its charismatic leader in order to participate, was largely expected. But the move will do nothing to ease international concern about the country's already heavily-criticised political standards, she adds. The NLD's decision followed a meeting of more than 100 party members in Rangoon. NLD spokesman Nyan Win said the party had agreed that it could not participate in the elections under the new laws, which were announced in early March. "After a vote of the committee of members, the NLD party has decided not to register as a political party because the election laws are unjust," Reuters news agency quoted him as saying. He had earlier indicated that the decision would likely go that way. "We will continue to exist politically by not registering," he said before the meeting. "If we register, we will only have a name void of all political essence." If the NLD had chosen to take part, it would have implied its acceptance of the military's constitution - something it has so far refused to do. Last week Nyan Win said Ms Suu Kyi had told him the party should "not even think" of taking part in the polls because of the nature of the election laws. But some senior NLD leaders had argued the party risked rendering itself irrelevant if it chose not to contest the polls, even though that participation would be constrained by the military. Win Tin, a veteran NLD member and one of Burma's longest serving political prisoners, described the meeting as a "life-or-death issue". "If we don't register, we will not have a party and we will be without legs and limbs," he said before the meeting. The new election laws have been condemned by the UN, US and UK, amongst others. The laws state that parties cannot have any members with criminal convictions - which rules out many top NLD leaders who have been jailed because of their political activism. The laws also ban members of religious orders and civil servants from joining political parties. Buddhist monks were the driving force behind anti-junta protests in 2007. Critics say both the election laws and the constitution under which the elections will be held are designed to ensure that the military retains a firm grip on power in Burma.